You’ve heard of “the boys of summer?” Well, now you’re going to hear about the birds of autumn! Why are they worth knowing about? As it happens, the birds you see in autumn may include both the regulars (birds living in your area year round) and species from points north, migrating southward for the winter. Even the bird species you usually see and are familiar with are busy with their autumn activities. Here’s what to watch for, along with some helpful tips for putting out the welcome mat or just appreciating this seasonal transformation for the wild birds of autumn. Canada geese streaming across the sky is a site to be seen, and heard in autumn. Pond hopping… what’s that all about? Canada geese can provide some of the most exciting sights and sounds of autumn as they stream across the skies in magnificent, honking flocks. 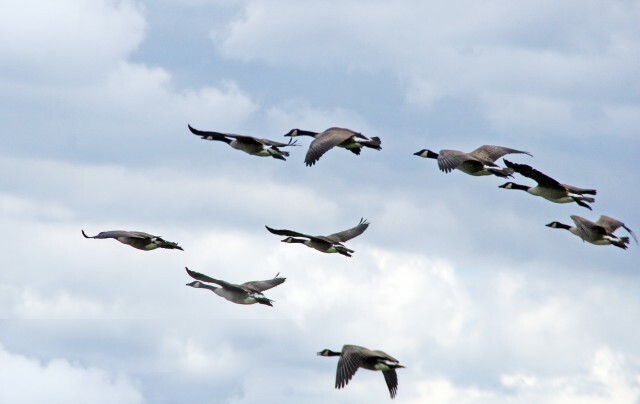 Some of these flocks are migrating, but a smaller few are “pond hopping.” After molting old feathers and growing new ones, the Canada geese that do not migrate move from pond to pond, exploring the relative merits—meaning food and safety—found at each. They want to know about options in case conditions at their pond deteriorate. They also keep alternate ponds in mind for future molting periods—a time when greater safety is a distinct advantage. Why don’t some geese migrate? Resident geese are descendants of geese captured in the first half of the 20th century for use as live decoys to lure migratory geese into hunting areas. Because geese nest where they hatched, geese of following generations have no inclination to migrate. If you have too many geese on your property or in your community you will want to discourage others from feeding them. Kindly explain the unintentional problems that result from feeding. You can also make a pond less appealing to geese as a nesting or loafing site by planting tall grasses or bushes at its edge. When geese have obstructed sight lines that might make it difficult to see predators they become nervous and will opt for a site that feels safer to them. 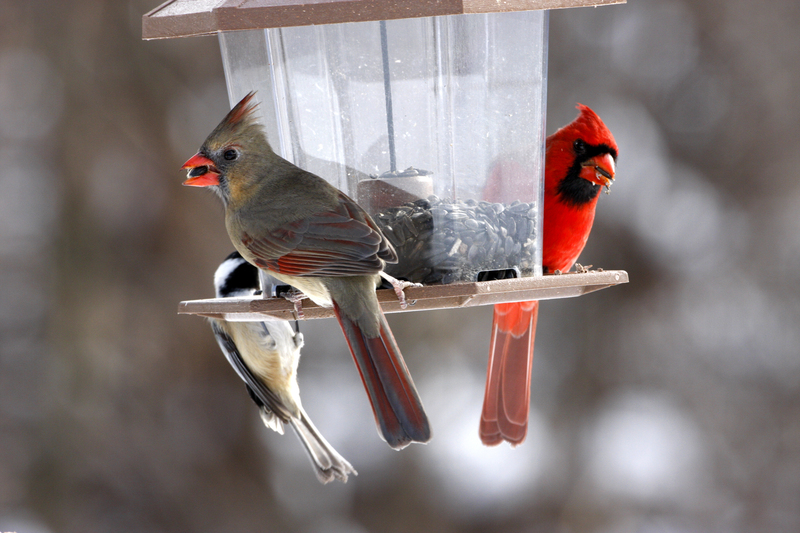 Black oil sunflower seeds attract a wide variety of birds from cardinals to chickadees and more. Birds of autumn are hungry birds! They are fattening up for migration or refueling during their journeys. You can help them out by having native grasses that provide seed and or native bushes that offer berries in autumn. If time and space don’t allow for planting, add a feeder and stock it with black oil sunflower seed—the most popular seed among most species of birds that come to feeders. In addition to chowhounds, you may have temporary guests—birds in migration who are using your yard as a stopover point. Whether they spend a day or a few, they’ll be tired and hungry, and they’ll want to bathe, so try to keep your feeder stocked and your birdbath clean and filled. Once migratory activity begins to wane you may notice a few new neighbors—birds who plan to spend the winter with you! They’ll appreciate the same things your stopover birds did, especially when natural bodies of water begin to freeze over. Add a heater to your nicely kept birdbath, and you’ll be these birds’ BFF. Why? Because you’ll be helping them keep their feathers in top condition for both warmth and flight. Do you put away your nest boxes in autumn? You may think your nest boxes are done till next nesting season, but no. Clean them out and keep them up. Add a handful of leaf or grass material in them and plug up ventilation holes so when temperatures plummet, you could be providing lifesaving shelter for cavity nesters temporarily in need. Birds can huddle inside, sharing body warmth to survive the night. Cozy for them, and a nice warm feeling for you. 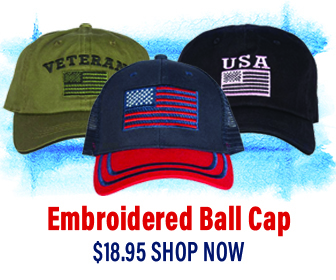 Got some extra time on your hands? Consider making roost boxes for your feathered friends. With the holidays ahead, the boxes make great gifts for your favorite backyard naturalist.